Stunning visibility and pin-point precision, to go. 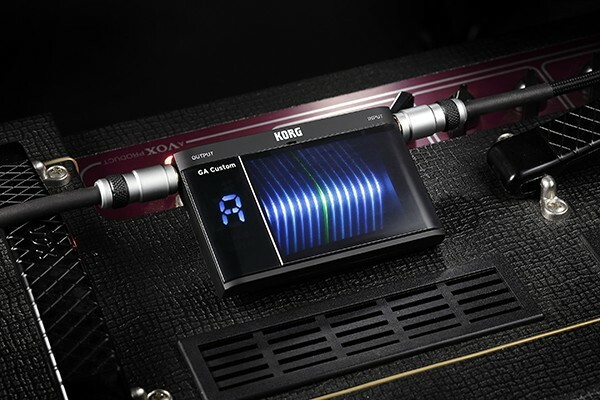 Compact tuner with ultra-high ±0.1 cent precision. The GA Custom features a large 3D visual meter, the first of its kind for a compact tuner. 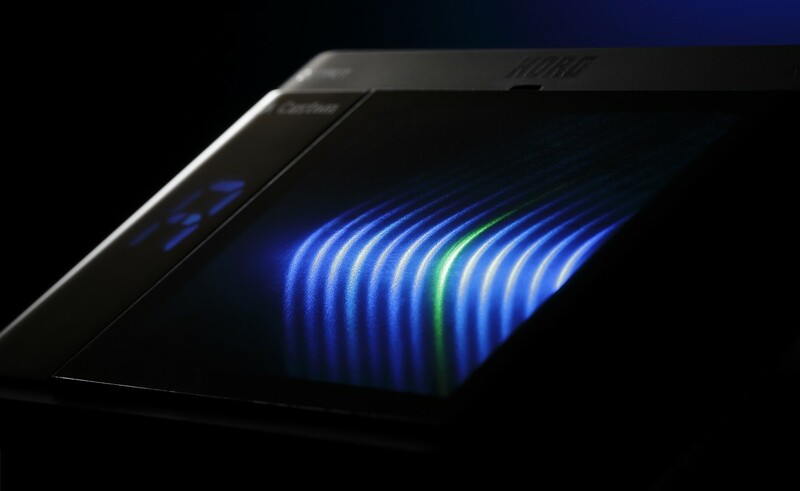 Three-dimensional lights and versatile display modes deliver an unprecedented level of visibility. 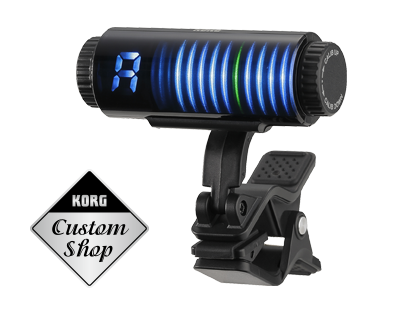 Its ultra-high ±0.1 cent tuning precision also meets professional needs. 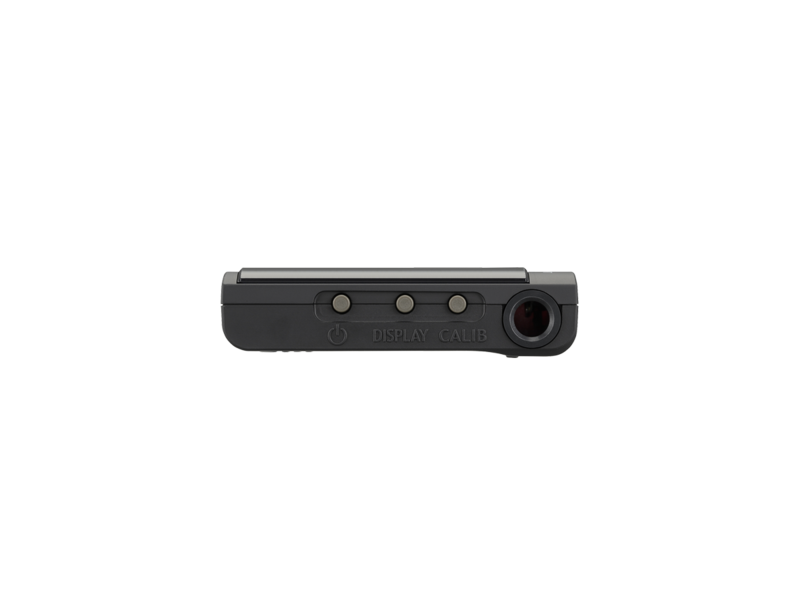 The flat body with rubberized exterior is even more compact and portable than ever. 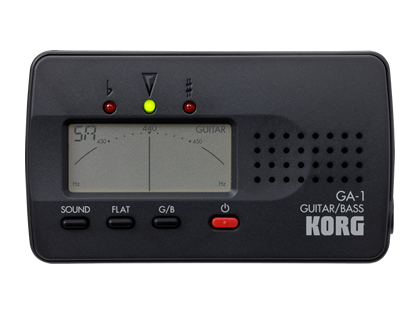 A high-sensitivity mic is built-in, allowing it to be used not only with guitar/bass but also with orchestral and acoustic instruments. The GA Custom is a new type of compact tuner that packs a ton of high-end functionality into a convenient and highly portable package. 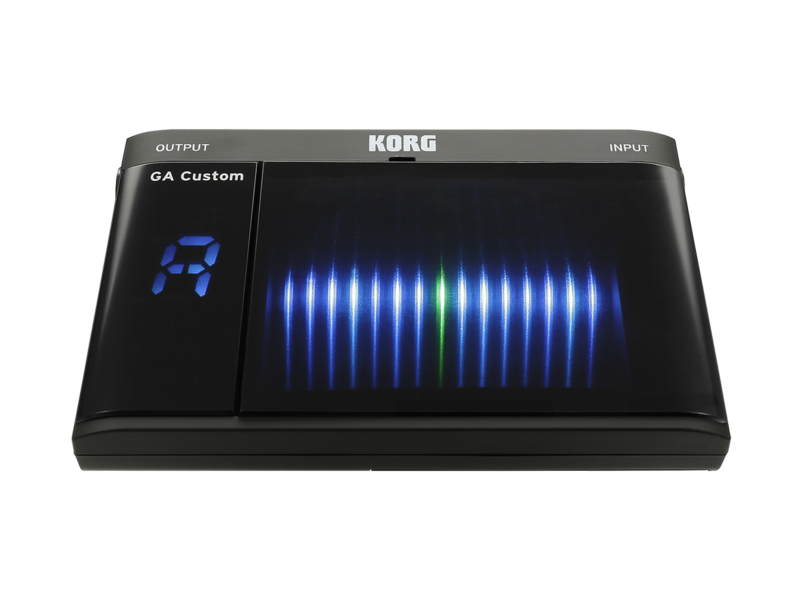 Designed with the professional user in mind, KORG’s GA Custom offers extremely accurate tuning with a detection range of +/- 0.1 cents, a level of precision that is uncommon of compact tuners. 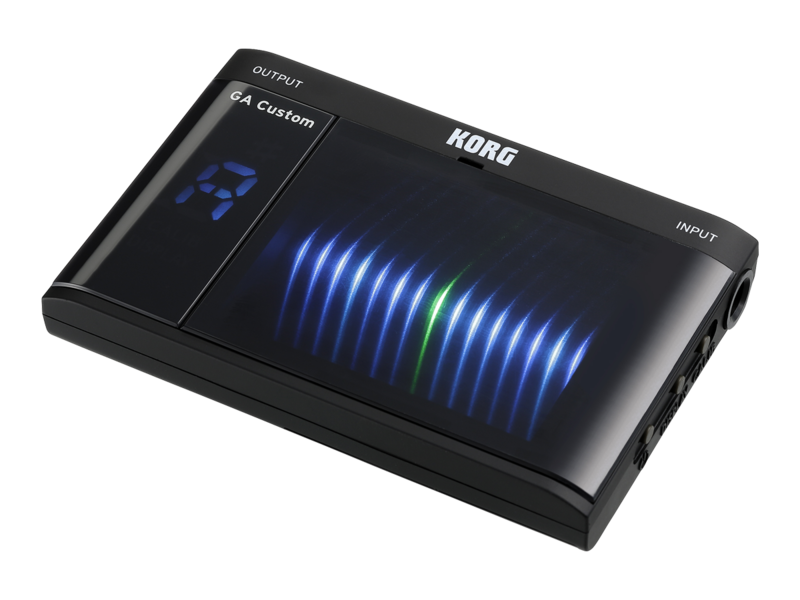 With the GA Custom, players of all styles can now enjoy the same ultra-high precision offered in KORG’s flagship tuner, the Pitchblack Pro. 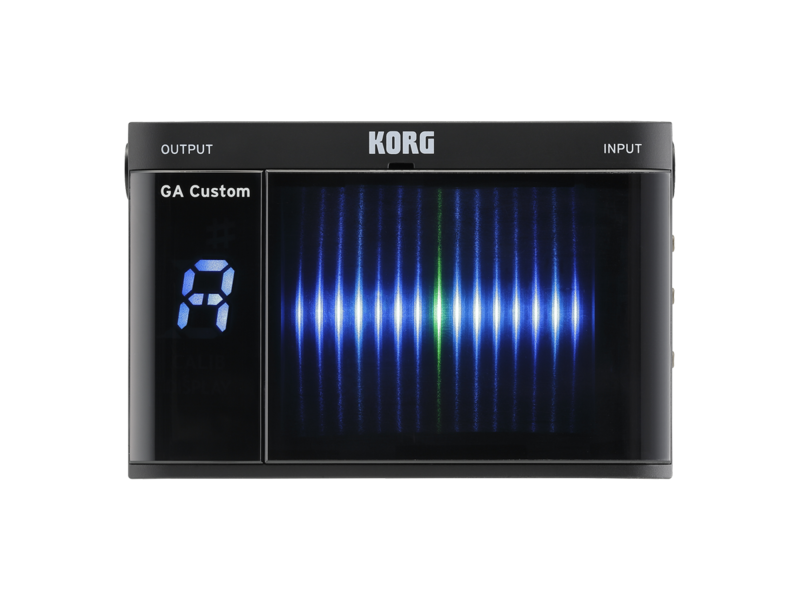 Three types of display modes are offered: Regular, Strobe, and Half Strobe. 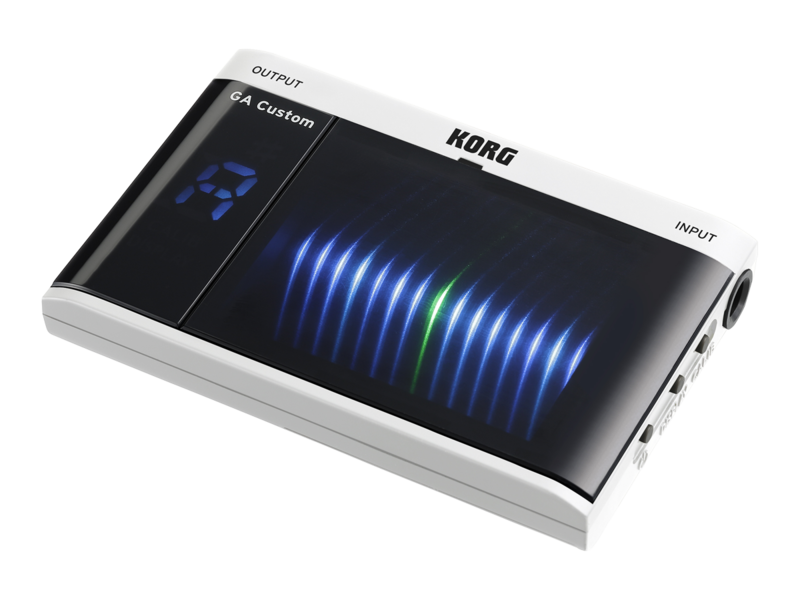 Each mode can be easily selected according to the user’s preference. 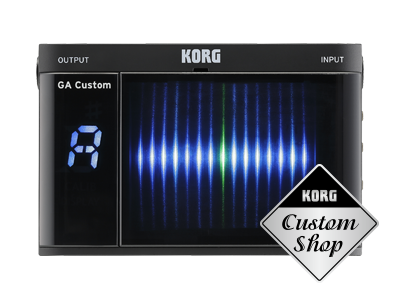 Strobe and Half Strobe mode reflect the extreme precision of the GA Custom, making it more convenient to tune accurately. 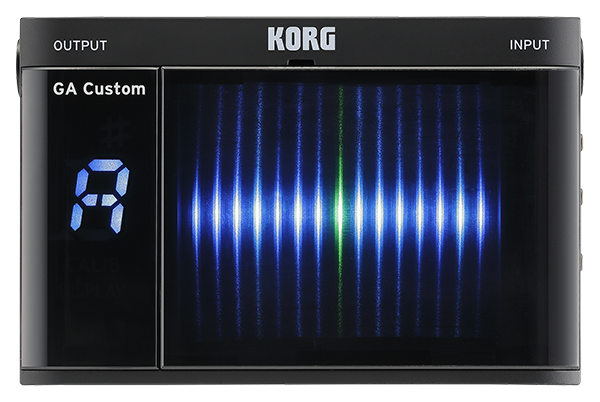 The meter display area has been made larger and easier to see, while the body has been made even more compact. The flat design is excellent for both visibility and portability. With a rubberized exterior, the body is also easy to hold. 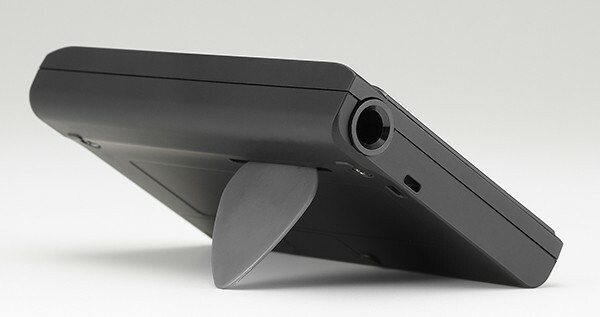 There’s a tilt stand on the rear, allowing you insert a pick to make the unit stand on its own. 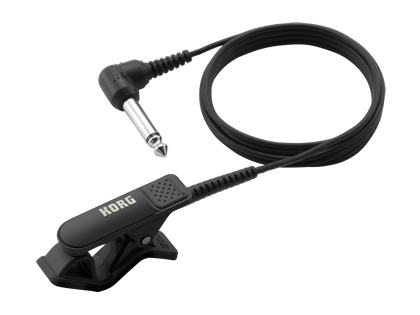 In addition to the INPUT/OUTPUT jacks used when tuning an electric guitar or bass, there’s a built-in high-sensitivity mic that lets you use the unit for tuning not only acoustic guitar but also wind instruments, string instruments, or keyboard instruments. 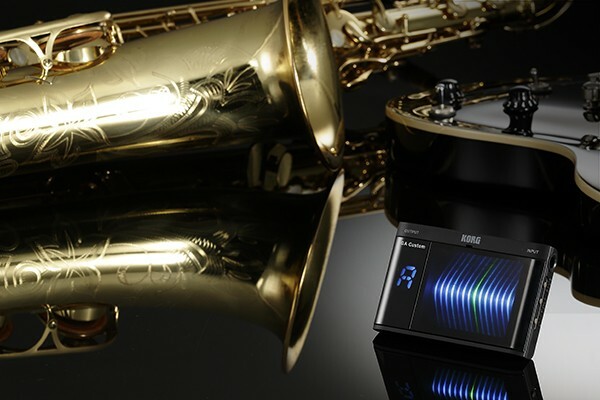 A CM-200 contact mic (sold separately) can also be used. 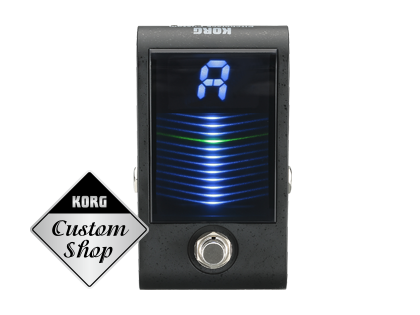 In addition to the standard black, this tuner is available as a limited edition of color variations. 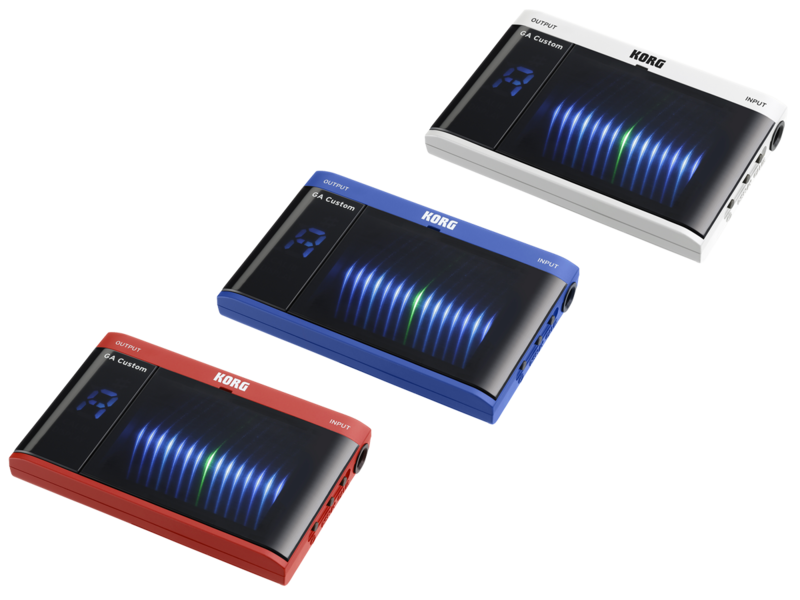 Choose vivid red, bright blue, or sophisticated white. 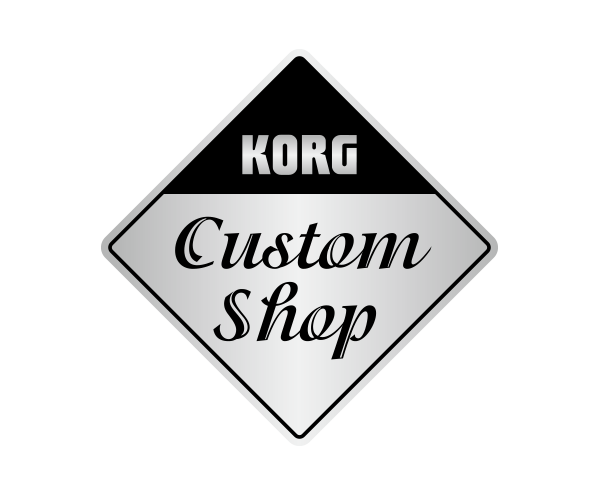 KORG’s “Custom Shop” series, a mark of ultimate quality.